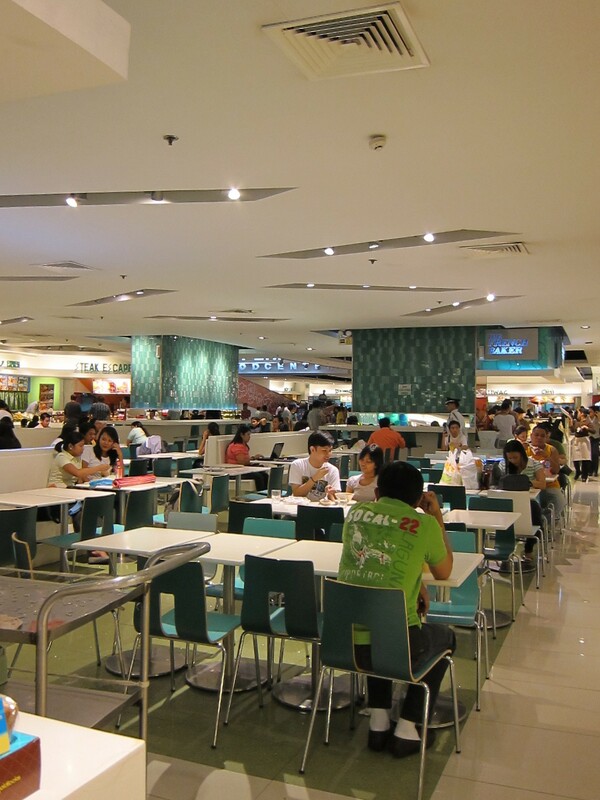 for those who don’t know, The Landmark is one of the oldest department stores in makati (manila). it’s a one-stop shop where you can get almost anything you need. Best of all, it’s cheap! 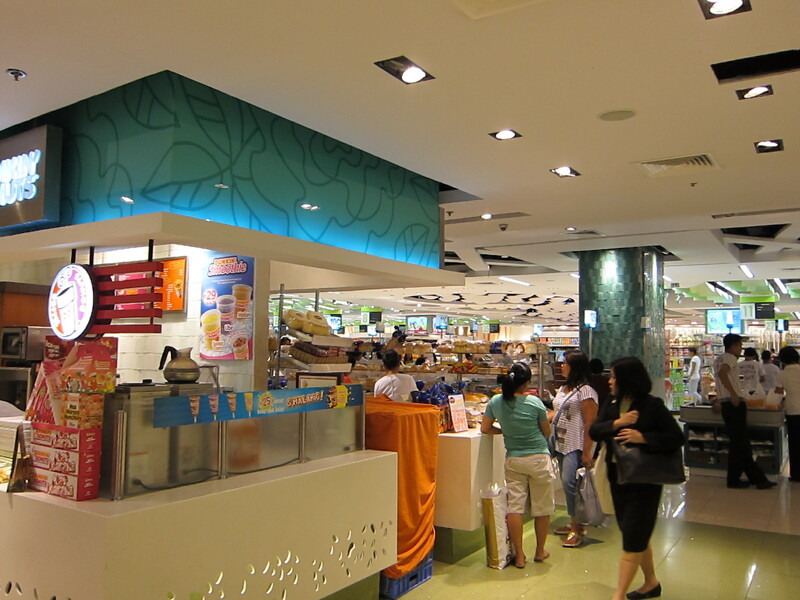 anyway, i am happy to share that i was delightfully surprised when i saw the new and improved landmark foodcourt / supermarket. it was chic and modern. the new interior really really made a huge difference! 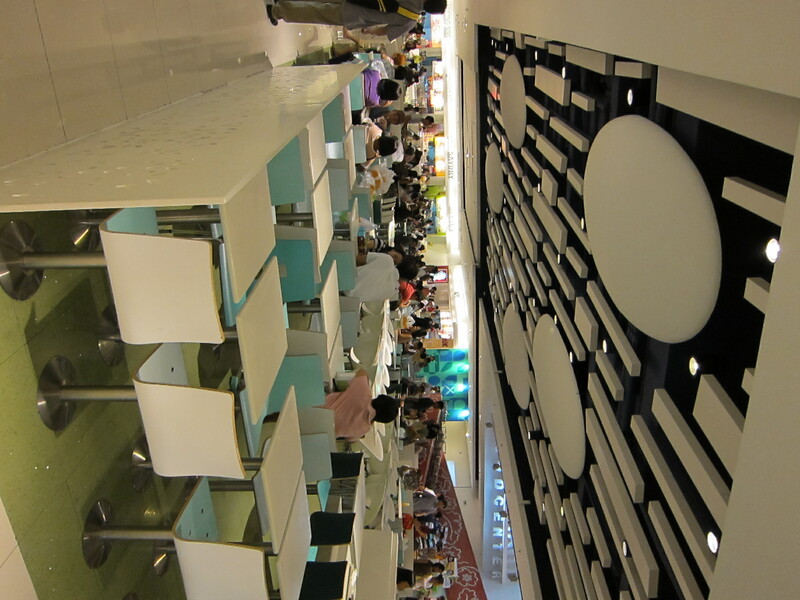 the food selection / stalls were also upgraded – they have mcdo, jobee, kfc, breadtalk, dunkin, goldilocks and a whole lot more… it was interesting and nice. i was in awe. i love the ceiling treatment and the color scheme. it made the place look more happening and alive.